Vijayawada — Started functioning — Comuniunication — Reg. 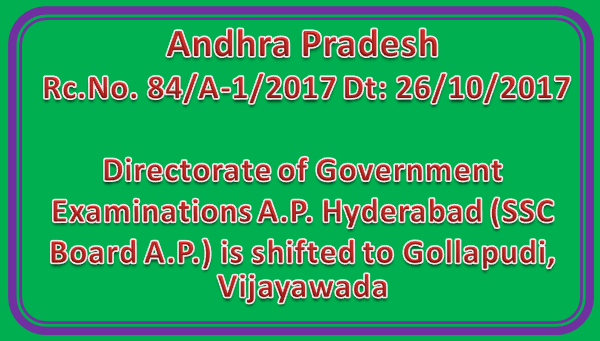 It is pleased to inform that the Directorate of Government Examinations A.P. immediate effect in the new location. electronic media to enable to know the ne location.